I really haven't done any Christmas shopping yet. I am the worst. Crafting and baking and Fa-la-la-ing? I'm all over that. Christmas traditions? Yup, got that too. 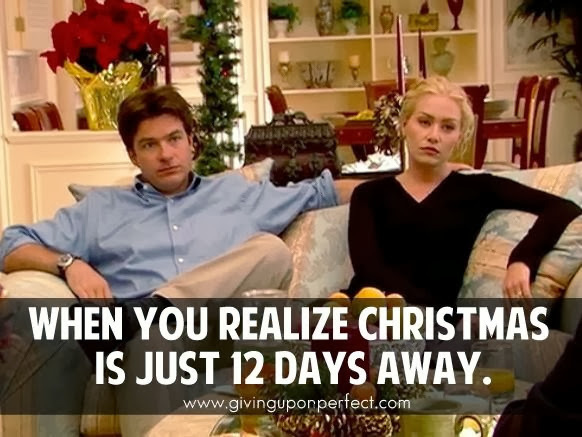 But alas, my aversion to shopping and budgeting gets me every Christmas. Source: Click here for some last minute gift ideas too (found this on Pinterest). Speaking of Fa-la-la-ing, I linked up with MamaKat's Vlogging Prompts this week to sing a favorite Christmas song. And I wasn't even drunk when I made this video. Yup. Check it out. And check out the hilarious Mama Kat. And since I referenced the Mandrell sisters in my video, this post wouldn't be complete without a video highlighting their amazing-ness. OMG! I love this. You keep on singing!